Wear your handmade pride on your sleeve! (Or your collar or bag or wherever!) 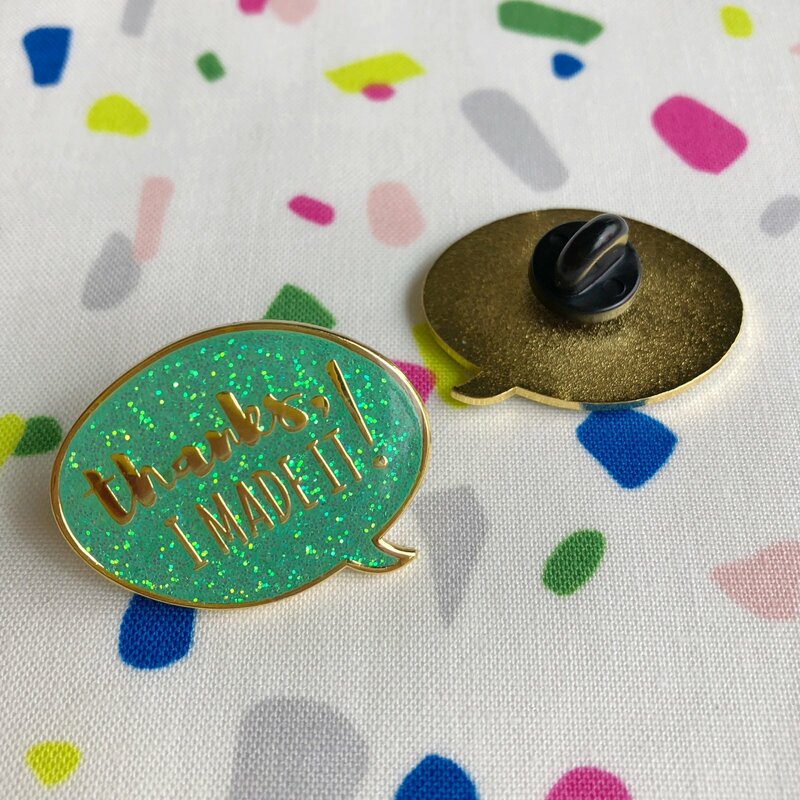 These enamel pins are yellow gold with a turquoise glitter background and a clear epoxy coating. The pin attaches with a black rubber clutch.